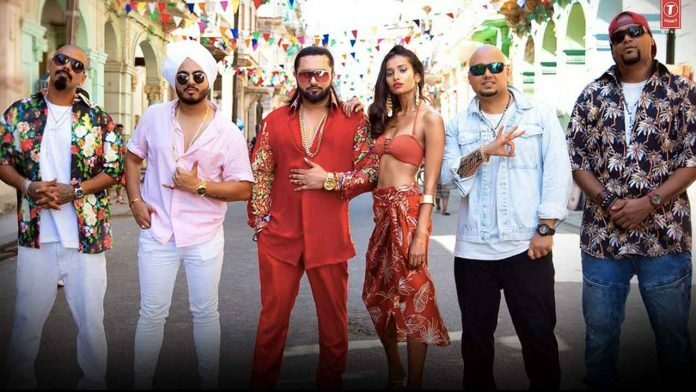 Yo Yo Honey Singh’s ‘Makhna’ is getting love all over the world, the recent post of the chartbuster singer will amaze you as the Cuban people are enjoying the song a lot. We can see in the video as of how Cuban people are performing Cuban Dance on the song Makhna on the streets and people are joining them. Not only in Cuba but also the song is getting a huge response by Indian masses, as the testimony of which is shown in the social media of singing sensation, where the famous Dance troops are performing on the chartbuster. The Makhna singer is overwhelmed by the fan’s response to his new come back song. Yo Yo Honey Singh posted a few videos of his fans on his official Instagram handle thanking them for a such a lovely response. Breaking records in no time, the song has garnered 47 million views in less than 6 days and has been trended #1 in India and world chart for more than 4 days. Makhna has emerged as an instant chartbuster, proving to be the perfect party number this festive season. As the audience gears up for Christmas and New year, Yo Yo Honey Singh has presented the celebratory song with quirky lyrics and groovy beats that has become a hit amongst the netizens in no time.